Invite Lightning McQueen and his friends to your party. This Cars Jumper is the perfect choice for your Disney Cars theme party. 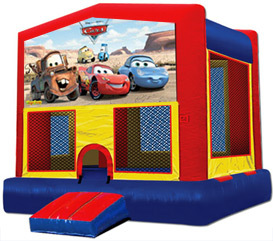 We from BounceHousesForRent.com will provide you with this new and clean Cars Theme Jumper. Our price includes delivery, setup, and pickup within our delivery area. We serve parts of Los Angeles County and Orange County, California. Our jumper was clean and well-maintained. From time of order to the professional delivery and pick-up, everything was great. Loved the confirmation, detailed drop-off timeframe, and follow-through with every step of the way. Great job! 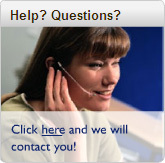 This is our... 4th or 5th time using this company. I've lost track. So that should say something! Will continue to use them - they are on time, the jumpers are clean, never any problems, and they come take it down at the end of the day. We always have them at our house, so it's nice that even though our party only lasts a few hours, the bouncer stays allllll day so the kids can enjoy it from morning until they pass out. Not sure if other companies do that, but I love that little "bonus". Will continue to use Go Jumper every time we need a bouncer for an event. First time ordering a jumper for a birthday party. I will definitely be ordering again. The jumper was delivered and set up within the time promised, and the kids absolutely loved it. Being slightly out of their area, i had to pay an additional fee for the delivery (because I ordered the smaller jumper, as a combo wouldn't fit in our yard). It was well worth the extra money. Courteous and professional service, clean, maintained jumper.